Boundary disputes and encroachment are hot topics among neighbours of all types, whether in commercial or industrial buildings or your local streets. In the 2015/16 financial year, over four thousand people contacted the Legal Services Commission of South Australia enquiry line for advice on fencing and retaining wall placement disputes between neighbours, an increase of 12% on the previous year (read the Commission’s full 2015/16 Annual Report here). But what causes boundary and encroachment disputes in the first place? Boundaries that are misunderstood or inaccurately measured can lead to encroachment disputes, including placement of driveways, structures, trees and fences. A licensed surveyor can help you prevent misunderstandings and disputes through accurate boundary measurement. A surveyor can also provide expert advice on how to approach a dispute with the right information at hand. Here are some tips on how you can minimise the risk of boundary disputes occurring, and how you can deal with them if they do appear. If you need to construct a new fence or wall on your property, or you need to check if you are encroaching onto your neighbour’s property, a clearly marked boundary is the best help you could have. To prevent boundary disputes from occurring, you should get an exact boundary line of your land or property drawn by a licensed surveyor as soon as possible. The surveyor will use highly specialised equipment and technology to ensure the physical boundary on your property matches the information from the Lands Titles Office (LTO). A full search of records from the LTO will surface any information about the existing boundaries or any changes to those boundaries by the previous owner. Once these boundaries have been identified, a comprehensive plan will be developed. If any conflicting information is discovered, we recommend that a comprehensive survey plan is lodged with the Lands Titles Office to help protect your interests. 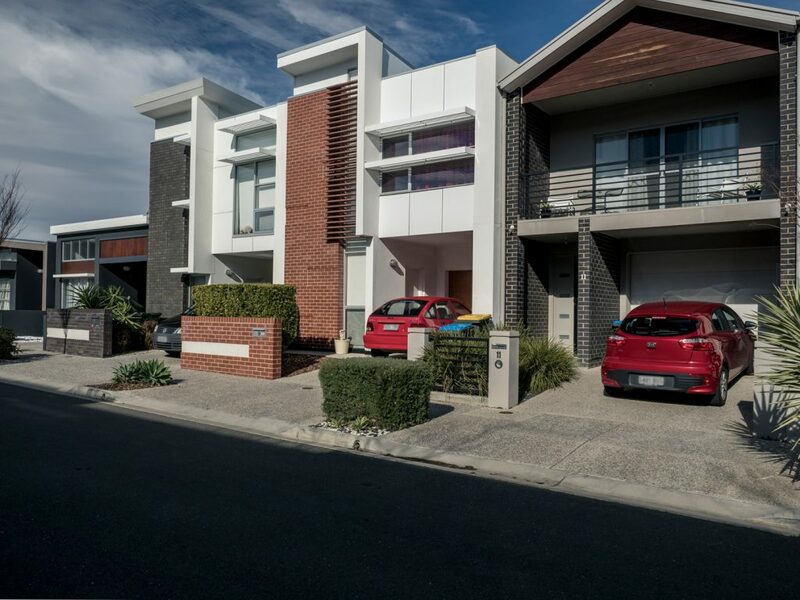 If you think your neighbour has incorrectly placed their fence or their driveway or structure is overlapping your property, there are a few things you can do before contacting your lawyer. Placement of a fence may not be an accurate representation of the boundary line and it doesn’t alter the actual boundary or the ownership of that land. You have the right to dispute the placement of any structure or object that may be encroaching onto your land. First, understand what the dispute is about and exactly where your property boundary is. Get a licensed surveyor to assess the property and physically mark out the boundaries accurately. 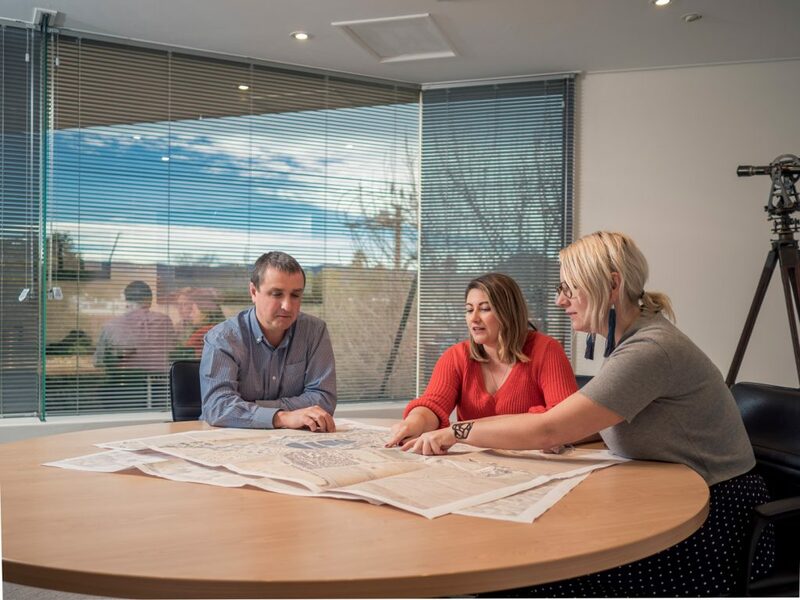 Our team of licensed surveyors will obtain existing Lands Titles Office records, undertake a full site survey to determine and mark the property boundary, and prepare a plan to show the results of our survey. They can also advise of options going forward to amend any issues. Respectfully talk the boundary issue through with your neighbour; they might not be aware they are encroaching on to your land. Try to help them understand your perspective and show them exactly what you are concerned about. If you need help, Community Mediation Services are available through your local council. A mediator is an independent third party that can assist you to move through boundary disputes and solve the problem. If chatting with your neighbour and contacting an independent mediation service still hasn’t resolved your issue, contact your solicitor for legal advice and any next steps. If your neighbour has raised an encroachment or boundary dispute with you, there are some things to be aware of which could help to resolve the issue or avoid it altogether. Speak with your neighbour and understand their concerns about the boundary or any possible encroachment onto their property. Have a licensed surveyor mark out the boundaries of each of your properties and map them accurately. Often, this step can clear up a lot of confusion and help you both to understand where your land ends and your neighbour’s land begins. If you are planning to build or repair a fence between your and your neighbour’s properties, you need to give your neighbour adequate notice about the work before you begin. They should be aware of and consent to the work, as you may need to enter their property to complete it. Although fences are legally owned jointly by both neighbours, there is no legal obligation for them to contribute funds to the repair or installation of a fence. A licensed surveyor can assist you with marking out your land boundaries for accurate fence placement, helping you to avoid any future boundary disputes. The best thing you can do about possible boundary disputes or encroachment is identifying the accurate placement of your property boundary lines. Contact a licensed surveyor as early as possible to plan and mark out the boundary of your property. This will be helpful not only if you decide to take action to stop your neighbour from encroaching onto your land, but also help you to avoid encroaching onto your neighbour’s land. A typical boundary identification survey with Alexander Symonds involves our team of licensed surveyors obtaining existing Lands Titles Office records to establish the history of the property. The surveyors will then undertake a comprehensive site survey, identifying and marking the property boundary. Once the survey is complete, our team will prepare a plan signed by licensed surveyor and share the results of our survey so you can fully understand the boundaries of your property. Contact Alexander Symonds today for advice on your property and enquire about a boundary survey.